An Irishman is among a rowing crew that has broken a 114-year-old record for crossing the Atlantic Ocean. 33-year-old Ray Carroll from Galway was one of four rowers who completed the voyage in 43 days and 21 hours. The team also included 41-year-old Don Lennox from Glasgow, 39-year-old Livar Nysted from the Faroe Islands and skipper, 37-year-old Leven Brown from Edinburgh. The crew left New York on 17 June and arrived at the quayside in the Isles of Scilly yesterday afternoon. The previous record of 55 days and 13 hours was set in 1896 by two Norwegian fishermen, George Harbo and Frank Samuelson. Mr Carroll described the conditions as testing and said he was now looking forward to relaxing. Mr Carroll has been rowing since he was 11 and has represented Ireland in a Junior World Championship, a European Championship and a World Student Games. He was also a member of the 2007/08 world record breaking crew with Brown and Lennox who broke the Mid Atlantic crossing time in 33 days. The new record-holders endured two false starts following bad conditions and technical issues, but successfully left New York in their 23ft vessel named 'Artemis Investments'. 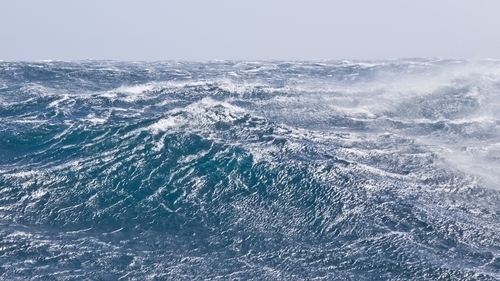 During two months at sea, the team battled 10m waves, a bout of food poisoning and narrowly avoided crashing into fishing boats in 35-knot winds.